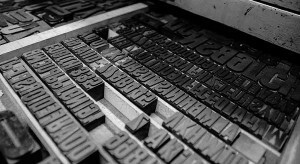 Printing services traditional letterpress, offset, digital, embossing and hot in Florence. Typography crafted in Florence performs ancient traditional press printing, relief printing, relief printing dry and warm, and modern systems of digital and offset printing. Typography Vittoria Florence, thanks to the multiple print services offered, has always been a reference point in the world of graphic arts in Florence. Typography in Vittoria a family tradition established by the succession of several generations of printers yet guarantee the authenticity of the old art of printing, the traditional nature of the oldest printing systems and the concreteness of the most modern and advanced methods of impression on paper, thanks to this feature Typography Florence Vittoria can certainly be included among the now rare printing craft still exist in Florence. In the laboratories of our typography wise combinations of letterpress printing, offset and digital printing, hot stamping or pad printed create unique and original, each piece will be tailored according to the needs of each customer, this can only tackle each stage of production in an artisan. Typography Vittoria Florence still relies on methods dictated by the ancient Italian printing school, an approach to processing to interpret and act before then to meet all needs, with the professionalism that has always distinguished generations of printers that have occurred in the family owning the same typo-lithography. Printing workshop Printing Vittoria Florence, an environment where there is an air of other times, places antique drawers full of movable type cast in lead and clichés, alongside letterpress and offset printing machines or modern typesetting equipment and the latest digital printing. Typography Vittoria Florence has always placed a great and passionate attention in preparing supplies for professionals such as lawyers, accountants, notaries and doctors, as well as any business providing valuable support in support of each profession. The complete equipment available makes it possible that all stages of production take place within the same typography; so our staff will accompany considerately your product starting from graphic design, through printing and packaging, up to the free delivery at the premises of your office or company. Custom of Typography Vittoria ensure a completely free service for both the receipt of orders for both the delivery of printed, this throughout the Municipality of Florence. By contacting us at our printing our valiant charge will reach your home if necessary to follow with competence and professionalism the stage of knowledge, study and development of your project, proposing and advising the dictates for the best realization and a valuable end result. Typography Vittoria Florence has since the day of its foundation headquarters in Via IX February 2 red – 50129 Florence, near Vittoria Square just outside the gates of the historic center of Florence, easily accessible location within a few minutes drive from anywhere in the city of Florence.